St. Croix, USVI (CBS USVI) — A sorority is stepping in to help a St. Croix school. 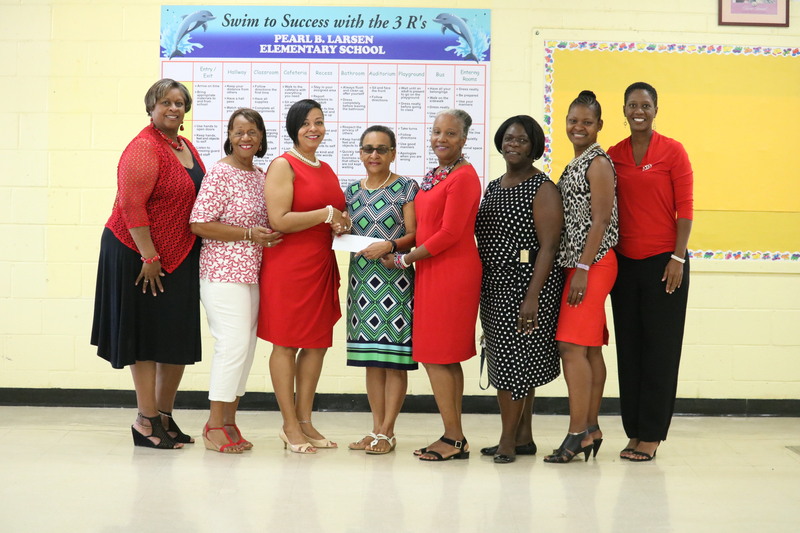 Delta Sigma Theta Sorority sent an over 5,000-dollar check to Pearl B. Larsen Elementary School. The Eastern Region state coordinator and other members presented the check to Principal Joan Claxton and Assistant Principal Delicia Espinosa. The donation comes after a delegation of Delta Sigma Theta visited the school in December and were impressed by the students’ eagerness to learn.